Duke Power found a perfect location for a nuclear power plant about 50 miles southwest of Charlotte, NC in South Carolina along the shores of the Broad River. Not far from the peach fields of Gaffney, Duke began building the Cherokee Nuclear Power Plant in the summer of 1976. After spending over a billion dollars in today’s dollars and with only one of three reactors partially completed, work was halted the early 1980s. Slower growth of projected electric demand and growing regulatory pressure in the nuclear industry were blamed as the cause. 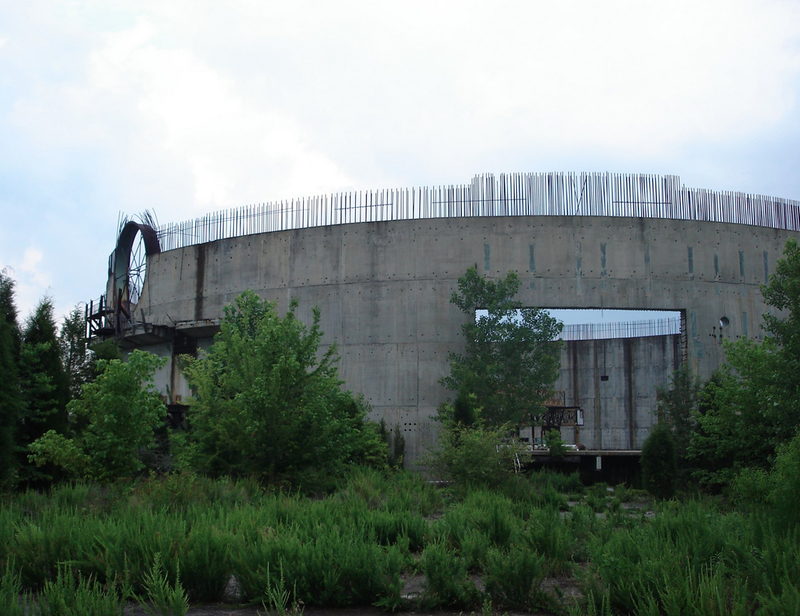 What do you do with an abandoned nuclear power plant? A local businessman bought the site and converted the unfinished complex into a movie studio. James Cameron soon came came calling. He had finished a script for a movie called “The Abyss”, but had no where to film the movie. Cameron determined he could fill the partially completed containment vessel with 7.5 million gallons of water and turn it into the largest underwater movie set ever. After the production went over budget, the set was never dismantled and left for nature. 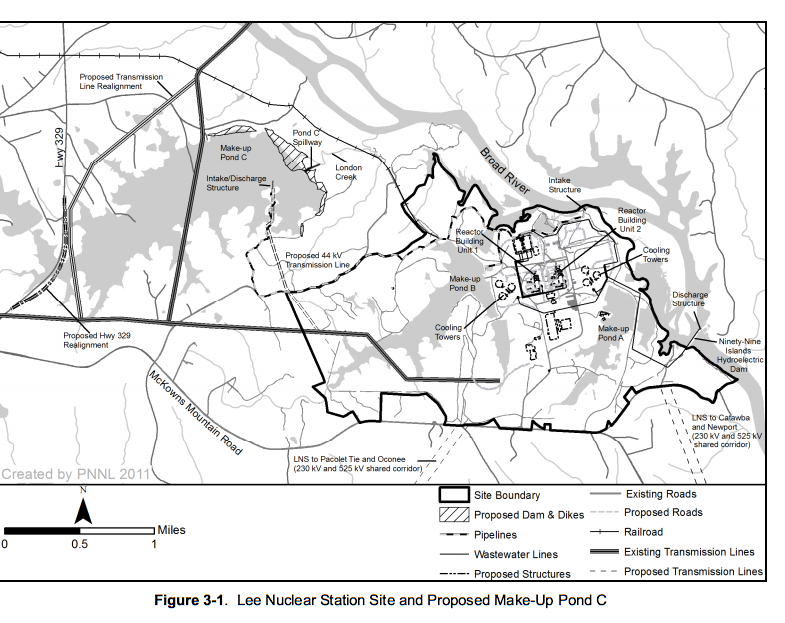 Ten years ago, Duke was looking for a site a new nuclear power plant site. How do you find a good site for nuclear power plant? Criteria such as seismic/geology characteristic, population density, water availability, dedicated land use, proximity to high-voltage transmission lines, and access to rail lines are reviewed. 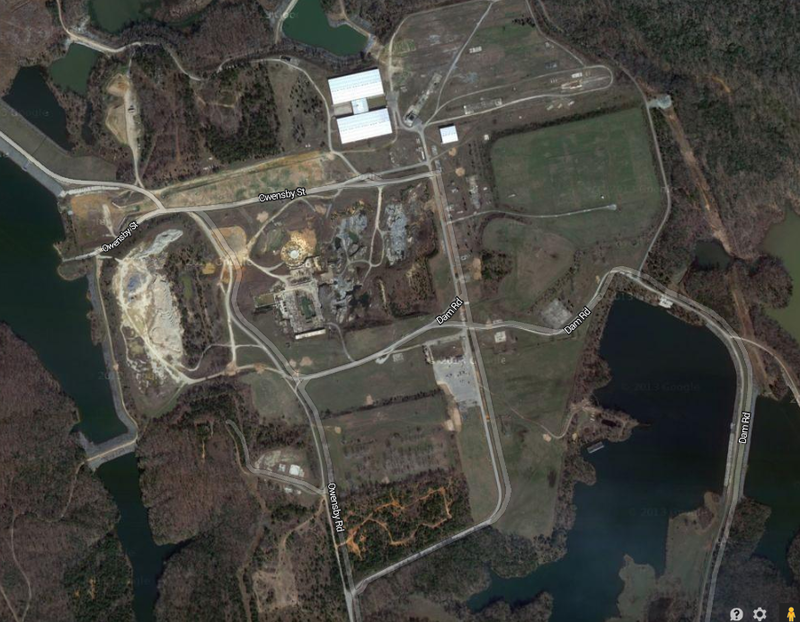 After an extensive site screening process, Duke Energy determined the best site to develop a new nuclear power plant was the previously abandoned site. In 2007, Duke Energy announced its intention to again build a nuclear power plant on the 4,000 acre property. The $11 billion, two-unit plant is based on a brand new design from Westinghouse. Due to severe droughts in the southeast for the last ten years, the threat of water scarcity has required larger lakes to be constructed at the site to provide enough cooling water. The Nuclear Regulatory Commission says it expects to issue a license for the plant in 2016. Even if Duke obtains a license in 2016, some question whether they will build the plant. If not, maybe James Camer0n can use the site again for his planned Avatar sequels. Google Image of the Site as it exists today. Robert Osborne is a civil engineer, writer, blogger and speaker. Read more at Watercrunch.com. Thanks for Reading. Engineer. Writer. Speaker. Dad. Husband. A Clemson Tiger.